IT in your business : Do you have customers or partners? In my department at Michigan State University, we are having interesting conversations revolving around the notion of “customers” and “partners” for the people that we serve. In many IT organizations, like many other service organizations that exist, there is a well known notion to call the people that depend on you for service as “customers.” We are told to treat these people as “customers first” in an attempt to think about how to best evolve our own service to make them happy. We have come to realize that while we call them customers, and attempt to treat them as if they were customers at, let’s say a grocery or department store, we really don’t. Really, most IT organizations need to make a decision on how to serve the people that depend on them for service and decide how they really want to interact with them. There is not a single right or wrong answer, but you can’t choose both. The method you choose really depends on your own overall organization and how you feel you can best serve them. What is a customer? A customer is a person or group that approaches you to fill a need. Let’s say they need a new printer and they contact you to order a printer. You might have one or two models that you support and you offer it to them. The customer agrees to one of your options and you order it, install it, and make it work on their PCs. You provide service with a smile and everybody is pretty much happy — you were able to fill their need, and they were able to accomplish the task they sought out to do. A printer is a pretty easy thing to visualize — it’s tangible and something I’m sure IT departments already deal with multiple models of. But think about other examples where customers have made requests — like PC models (like a Apple Macbook), operating systems, CRM software, browsers, etc. Often times, if a customer is making a request for a particular piece of software or hardware it’s for a reason — and if you treat the end user as a customer, you have to be prepared to allow them to make those choices. This often involves bending your own standards to allow them to make the best decisions for their own organization. After all, the customer probably knows their line of business much better than you do. This method is all about providing great customer service and allowing the customer to do what they need autonomously. What is a partner? A partner, or an even better term would be a business partner, is somebody that you work with to accomplish a goal. When a group approaches you to help solve a problem or business need, they will depend on you to help them make the best decision. But being a partner is not a one-way street — it also requires you to approach the end-user and ask them how you can best help them accomplish their goals. There is a clear nuance here, but let’s dive into this a bit more. Using our earlier example of a customer needing a new, specific printer, a business partner should have noticed the requirements of that user before they formally asked for help and offered to help mitigate the need. This could have been forming a better partnership with an outside entity for doing those color prints, or maybe partnering with an inside organization that also has a similar need, or proposing getting the printer. Conversations change from “What can I do for you?” to “Can we suggest XYZ to make your life easier?” A quick consequence of this relation often is that changes to it systems are often done for the benefit of the end customer, rather than the IT group (ask yourself how many of the IT policies that are in place are to make it easier to manage your systems, vs. helping the customer). Now the downside of being a partner is that it is much more human capital intensive. It requires that your IT department becomes involved in all the line of businesses that happen at the organization that you support. It requires that they have at least some institutional knowledge of accounting, etc. in order to help these organizations. I’ve seen some implementations of this where the IT department has their staff distributed among all the groups they support — for example, they might have a cube next to the secretary so they can glean how they do their job and be their advocates in the overall IT plan. Other ways to accomplish this would be to have certain people “deputized” (actually have access to work on systems that the group needs) within these groups and represented in IT staff meetings, again to help evangelize what the needs are of the groups they represent. This method is really about empowering the end group to participate in IT. The danger zone. Where a lot of IT organizations run afoul when serving others is that they pick either neither of these methodologies or, sometimes worse, pick BOTH. Hybrids of these methodologies never work — because quickly everybody becomes confused in their role. The most common is where a customer is told they aren’t allowed to install or request application X onto their PCs to fulfill a role, yet their IT department also refuses to give them any alternative to do their job (neither methodology is chosen). Another example would be that the end user is allowed to chose a particular piece of software to meet their business needs, but then expects the IT department to change the way they do business in order to meet the needs of this software (both are implemented). IT departments need to also be careful to not switch methodologies on customers either. Either allow them to be a customer or a partner — don’t change on a project by project or product by product situation. How do you interact with your end-users? This may be the most telling way of how your operate as an IT organization. You do have helpdesk software that you ask people to “put in tickets?” or a common phone number that you direct all users to call for every IT interaction? You are most likely treating end users and groups as customers. Do you have staff sit in organizational meetings (other than meetings with groups like department heads), or invite end-users to your department meetings on a very regular basis? You might have business partners in that case. Do you know the IT strategy of all your organizations businesses? If you don’t think they have an IT strategy, you may want to ask. What was the last software that you installed for an end-user that was “non-standard”. Do you know why they requested? What was the last software that you didn’t install for an end-user. Do you know what business need they were trying ti fill? What was the last thing you did to increase productivity to an end-user? Is this something that you brought to the table, or something they requested? Did this actually increase their productivity? It’s been a month since I traveled to Denver to attend the IAUG (International Avaya Users Group) “Converge” conference in Denver, Colorado. This conference was one I used to go to every other year at most, but recently I’ve been attending every year… I think I’m on a three year streak. Plus, this year the conference was in Denver, hands down one of my favorite places to visit in the US. This year I was asked to speak on two separate topics which changed the experience of the conference for me. It’s been nearly 10 years since I’ve spoken at an IAUG conference and this time I was speaking on two very diverse topics. I’ll be posting more details on what I spoke on in subsequent blog posts, but I did a joint presentation on the EDP (Avaya Engagement Development Platform) and the OSSI Administration protocol. Additionally I participated in the EDP meetup and presented some of MSU’s Telecom innovations during the Tuesday keynote. This year the conference was in the Denver Convention Hall. The conference center is /huge/ and our conference managed to only fill 1/4 of it with our thousands of attendees. One of the things I like about the convention center is that there are lots of couches and places to get some quick work done between sessions or meet up with others without being in the way. Generally the A/V was pretty good which for the last few conferences I attended was a sticking point. I wish I could have attended more sessions, but given my schedule I was pretty booked up. There was lots of buzz of a few topics (like the roadmaps) that sounded great. The few sessions I did get to attend were great — I think I only ended up leaving one without getting something out of it. The tradeshow floor was, as always, great. When you are at your home office you often forget about how large the ecosystem is around the simple telephone on your desk. In the years I’ve been working with Avaya, it seems like they are finally starting to be able to realize their ‘dreams’ of how all the building blocks come together. This year there was much more cohesiveness between their products and seemingly less things being developed in silos. There was also much less “us vs. them” between the “red” Avaya customers and “blue” Nortel customers than last year. With Avaya a year into moving into a suite licensing where they can freely innovate products and worry less about separate licensing mechanisms for each one there is more and better innovation and alignment in them all. It was neat watching the company promote the EDP (Avaya Engagement Platform, formerly Collaboration Environment) as heavily as they have. This is a development platform, similar in effect to Twilio, that really cracks open the internals of the enterprise phone system and allows companies that want to innovate with their communications infrastructure to do so. At Michigan State University we’ve been able to take advantage of the platform and push the boundaries of our capabilities to create some cool apps that are producing some real ROI. 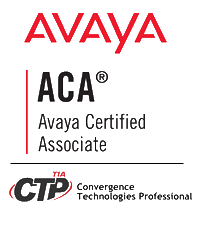 With Avaya pushing the platform company wide, I only see the toolbox getting bigger and more useful as more adjuncts plug into the platform and allow us to do even cooler things. I’ll be back again next year — and hopefully will be selected to speak on some more cool topics and projects we are doing. This is the second part of a two part series on deploying your CFML applications to the cloud using Amazon Web Services’ Elastic Beanstalk. Read the first part here. Since your app is running through your Elastic Beanstalk, making changes are not as easy as just FTPing a few files to the server. 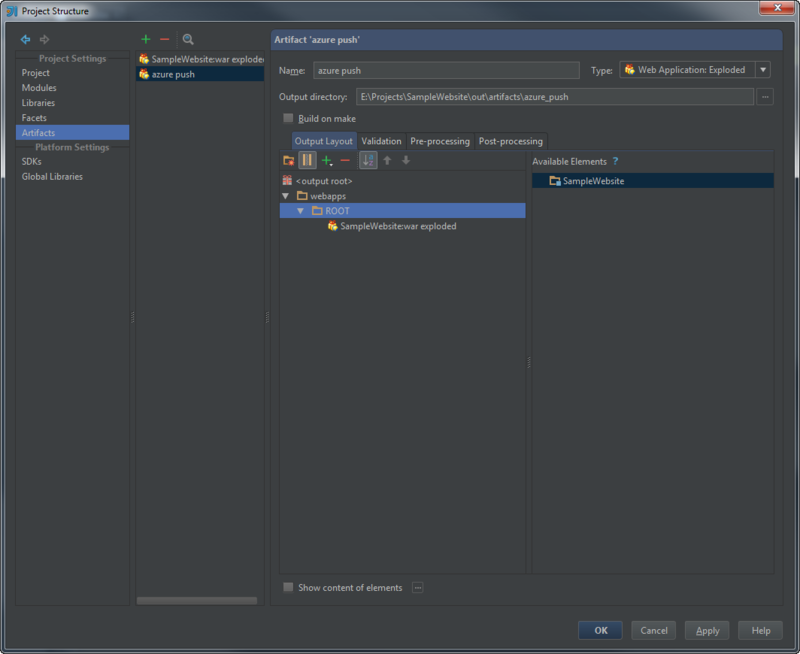 You will have to make the changes the “Java” way. Make the changes, and preview them on your local Tomcat server. Drop the changed CFML templates into that WebContent directory, and hit refresh in your browser. Choose your AWS instance from the list, and click Next. Make sure your project is still selected to deploy and click Finish. Wait. It will take up to 5 minutes to upload your changes to AWS. It will then take another 5 minutes or so to merge your changes with the original project and restart Tomcat. It will take some time, so grab a fresh drink. You may get an error message saying that your instance took too long to start — that’s ok. Give it a few minutes and refresh your browser to see the new version. Create a new database using Amazon RDS. This gives you much more flexibility and lets you choose between MySQL, Oracle, or Microsoft SQL. You get one year free for one DB instance. You can have as many tables and store as much data as you want. You can also tell it to do automatic backups and snapshots of your DB. This is slower for smaller queries (because it relies on TCP sockets across the network), but faster for more CPU intensive queries. Create a DB within your Elastic Beanstalk instance. This adds no cost to your application, but limits your DB choices. It also means that if you re-create / re-upload your application, your DB will be reset. This is slightly faster for smaller queries, but slower for larger, more CPU intensive queries. Head over to the Amazon Management Console. Login. Head to the RDS section. Launch a new instance. Choose your DB engine. Set the Instance class (this is how much CPU you will have dedicated to the DB. t1.micro is the free one). Choose how much space you plan to use (allocation space), and set a DB name, username and password. 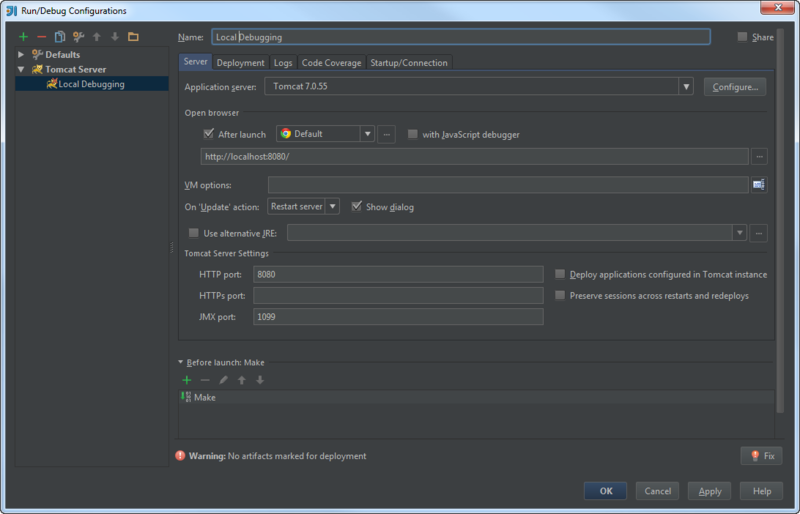 Go through the rest of the configuration settings and launch your DB. It will take about 5 minutes to it to fully launch. Once it is launched, it will give you the “endpoint”, which is the hostname of the DB. Write this down, you will need it later. Head over to the “DB Security Groups” section. We need to allow our server to access this DB through the firewall. Click on Default. Under Connection Type, choose EC2 Security Group, Choose the weird looking “instance id” from the drop-down, and click Add. You may want to add your own computer to the list as well so you can manage the DB over the internet — Add your IP address by using the CIDR connection type (it will tell your computer’s IP address so you can add it properly). Your DB should be all setup. You can connect to it from your computer using your favorite admin tool — use the endpoint as the hostname, and the login/password/db name to connect to it. Head over to the Elastic Beanstalk section. Find your application, then the environment you launched. Click Edit Configuration under the enviroment. When you apply changes, it will create the DB and spin it up. This will take a few minutes. You will get the endpoint (hostname), the username and password when it is finished. Head to the RDS section within the AWS Management Console. Add your own computer to the list as well so you can manage the DB over the internet — Add your IP address by using the CIDR connection type (it will tell your computer’s IP address so you can add it properly). Go to the Railo or ACF administration interface, and add the DB. Set a password. The first time you go to this page, it will ask you to set one. Make your changes. For example, setup your databases, etc. Click on the Web Administrator tab. At least set a password. This is the context-specific settings (you only have one context at this time, so you may want to set everything in the server admin). When finished, click back on Server Administration. This will take you back to the dashboard. Keep this open in the background. Go back to the Server dashboard. Find the configuration file section. Find this file on your file system, and copy it into your new \WebContent\WEB-INF\lib\rail0-server\context\ directory. Go back to the Web Administrator dashboard. Find the configuration file section. Find this file on your file system, and copy it into your new \WebContent\WEB-INF\railo\ directory. Any time you want to push Railo configuration file changes into the cloud, you need to repeat this process. Deploy these changes to your AWS instance by following the Updating your Application section. Your online AWS instance will be updated in a few minutes. One thing to consider when deploying your CFML application out to the cloud is licensing. In particular, if you are using Adobe ColdFusion there are some serious licensing implications. NOTE: I’m no lawyer — I only play one on TV. Consult your legal weasel team before trusting what I say here. If you plan on working with Adobe ColdFusion 9.x and below, know you are breaking license agreement by using AWS. They calculate your license by the number of CPUs that you are running on. There is no way to know that. At all. You could say that you are trying to be honest by having one license per instance — and I’m sure they would believe you, but you are “breaking the law.” I’ve tested this setup with ACF 8.x, ACF 9.x and ACF 10.x (all developer editions of the WAR deployment, of course!) and had it work fine. ACF 8.x is pretty slow on t1.micro, so be aware of that. If you plan on working with Adobe ColdFusion 10.x, they do allow for ACF on the cloud. You can run either 1 CF Standard instance per license, or up to 10 CF Enterprise instances per license. More information is available on the blog post written on the subject by the CF team. Read the blog post carefully. What it boils down to is if you are running a standard license, you CANNOT use the auto-scaling features of Elastic Beanstalk. If you are running an enterprise license, you need to watch the number of licenses you are consuming at your max when scaling up, and the amount of CPU you plan on consuming. I hope this tutorial helped you bring your apps to the cloud. As I said earlier, I’ve been deploying many of my customers using this method with great success. Please comment below if you have any questions or comments with the setup. Enjoy! Deploying CFML, or ColdFusion applications in the “cloud” is a lot easier than you might think. I recently deployed my 5th customer on Amazon Web Services using their Elastic Beanstalk product and once you get the hang of what is going on, it is pretty easy. An Amazon AWS account. You will need to tie a phone number and credit card to your account in order to sign up. You will get 1 year’s worth of service for free for one server. A working copy of Eclipse. I used the version that is bundled with ColdFusion Builder 2, but you can use any fairly modern version. A Modern CFML Server that can deploy as a WAR file. This includes Railo 3.2+, Adobe ColdFusion 8.x – 10.x (Enterprise edition only). I’ll dive into licensing concerns later. I’ve been using Railo 4.1. 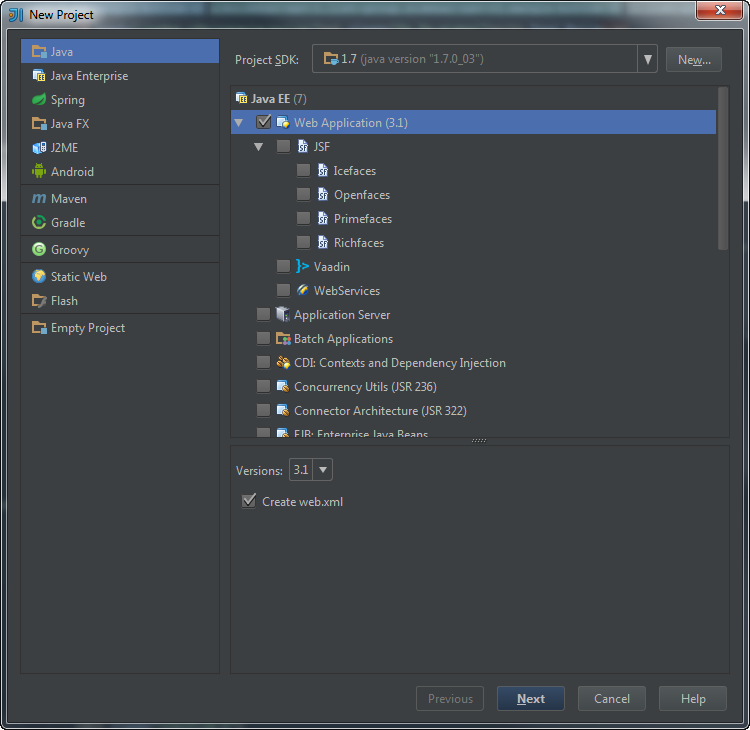 The AWS toolkit for Eclipse. More information about that is here. Apache Tomcat. 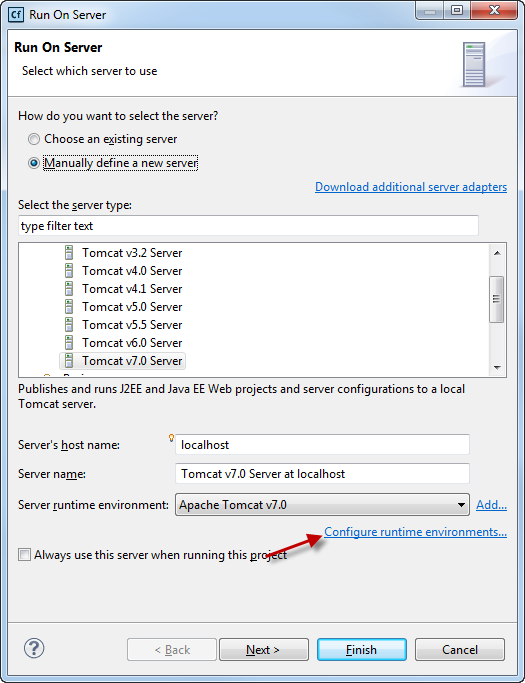 I recommend Apache Tomcat 7.x. You will want to grab the “Core .ZIP” file. (Optional) Some sort of CFML editor. Again, I used CFB2. CFEclipse should work equally well. Install Eclipse, if you don’t already have a working copy. Install your CFML editor (or if you use ColdFusion Builder, simply use the Eclipse that comes with it). 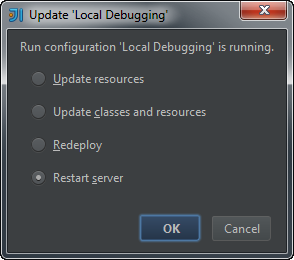 If you installed any new components, restart Eclipse. Click install, and let Eclipse download, verify and install all the required components for AWS. Make sure to restart Eclipse after you finish. Open the AWS Management Perspective (Click the little plus sign next to the ColdFusion icon in the toolbar). Click the down arrow on the right side of the AWS Explorer view. Choose AWS account, then Configure AWS accounts. Setup your account credentials, and give an account name. These were provided to you during the initial setup, but there are also instructions on where to find it in the AWS management portal as well. Take your copy of Tomcat you downloaded earlier, and unzip it somewhere where you can find it. C:\Tomcat\ works great, but it doesn’t really matter. You don’t need to install it, configure it or anything like that — the AWS toolkit will do this for you. 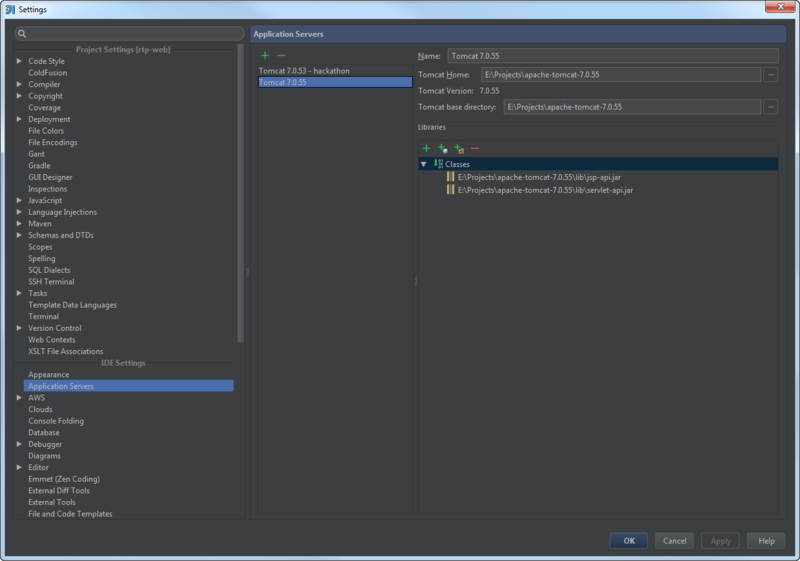 Switch back to the CFML perspective in Eclipse. build — This will hold your AWS configuration. No need to touch this. 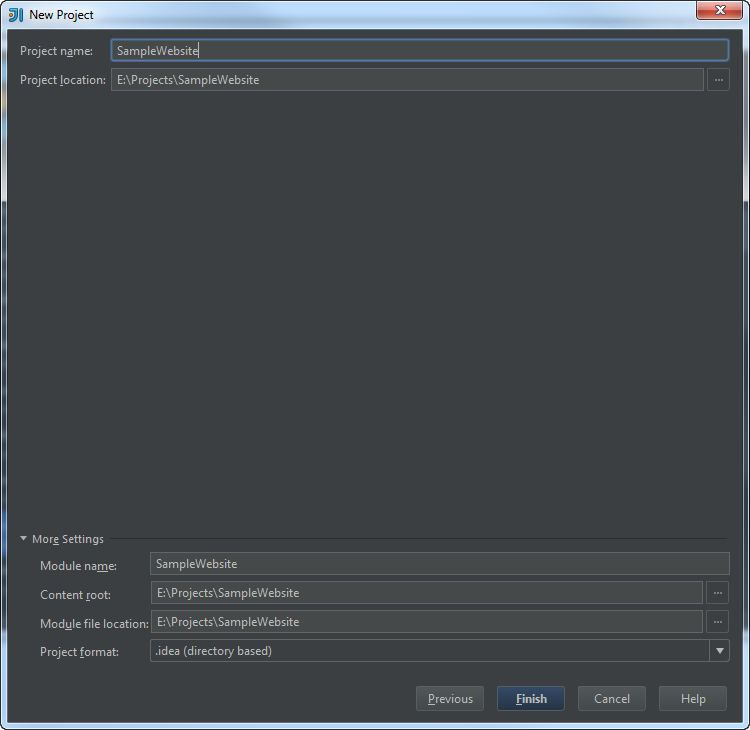 src — If you plan on adding any additional Java source-code, this is where you will do it. Otherwise, nothing to see here. WebContent — this is your WebRoot. It comes pre-loaded with a .JSP file, a styles folder, images folder and a WEB-INF folder. Delete everything in this folder EXCEPT the WEB-INF. Download your CFML engine as a WAR file. I recommend Railo, which has a .WAR file you can grab right from their website : http://www.getrailo.org/index.cfm/download/. If you are using Adobe ColdFusion, you will need to grab and generate your .WAR file manually. Rename the .WAR file to .ZIP. Open this ZIP file with your favorite unarchiver. Copy the contents of this ZIP file and place it in the WebContent folder. If using the downloaded version of Railo, you will end up with some sample .CFML files and a WEB-INF directory. 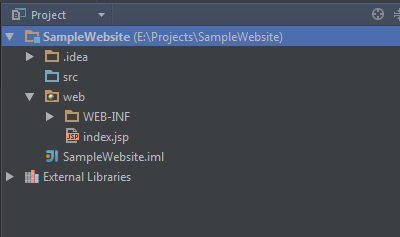 Don’t touch anything in the WEB-INF or META-INF directories, but the rest of the files can be deleted. Make sure to overwrite the web.xml file. You now have everything in place to start coding. You will most likely want to test your application before you deploy to Amazon. That is why we unzipped TomCat earlier! Add a new Tomcat environment, pointing to the Tomcat installation directory to where you unzipped Tomcat. Chose Next to add your new project to the server (other known as a resource). Hit Finish. Tomcat and Railo should now start. You can watch it start by checking out the console view on the bottom of the screen. Within about a minute or so, you should see a new tab open up with the “Welcome to Railo” or “Welcome to CF” screen. You server is now running. You can check it out at http://localhost:8080/<projectname&gt;. As you place and save files in the WebContent directory, those files will be “published” to your local Tomcat server. It sometimes takes a few seconds for them to be published. You can always check the status by looking at the “Servers” view (this is a different Servers view that is just for CF server — this would be the Java one, which is usually hidden by default in CF Builder). Right click on your project, go to Run As -> On Server. 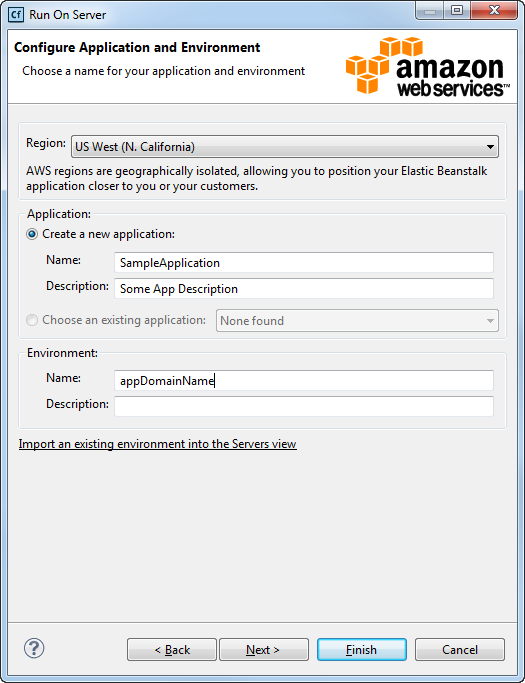 Click on Manually Define a new Server, and choose “Amazon Web Services -> AWS Elastic Beanstalk for Tomcat 7”. Click Next. Fill out the Elastic Beanstalk configuration form. You will need to choose a region to launch the app at, an application name (this is used so you can identify your application), and an environment name (this becomes the prefix to the domain name that will be assigned to your application). For this example, the domain assigned to the app was http://appDomainName.elasticbeanstalk.com. Most likely you will point your own DNS entry to this. Click Next. This will allow you to choose which applications you want to deploy to the EC2 instance. You will only have one, so hit Finish. Your application will be packaged as a WAR file, uploaded to S3, a new EC2 machine will be created, a firewall, load balancer and your app will be deployed. This can take up to 10 minutes the first time. If you get an error message stating the server took to long to launch, don’t worry… It will launch. It does take a while to start up the first time, trust me. After the app has launched, you should see an Elastic Beanstalk configuration screen. 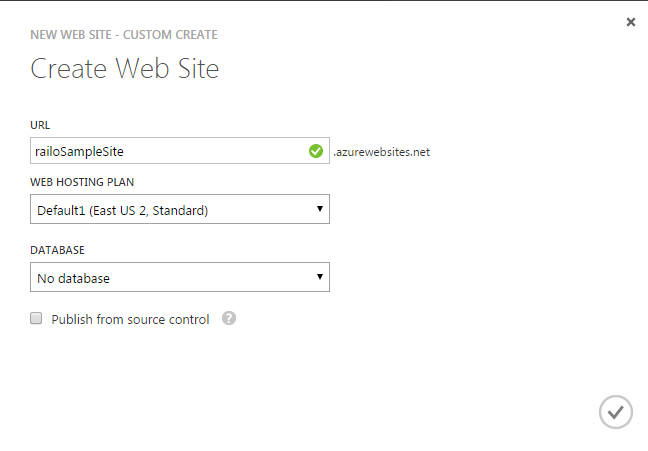 This will allow you to tweak configuration settings, see the final URL, and much more. Check it out. Modify the Start timeout setting under Timeouts to something large like 600 sec, so you don’t see any errors while deploying incremental updates. Congratulations! Your CFML app is now on the web! Check out Part 2 here. I covered updating your application, integrating it with a database, using the administration interface and a discussion about licensing concerns. One of the coolest things about CFML is the fact that it was designed for rapid application development. Even more so, as the language (and server platform) evolved, it quickly turned into one of those tools that knew how to talk to just about everything. 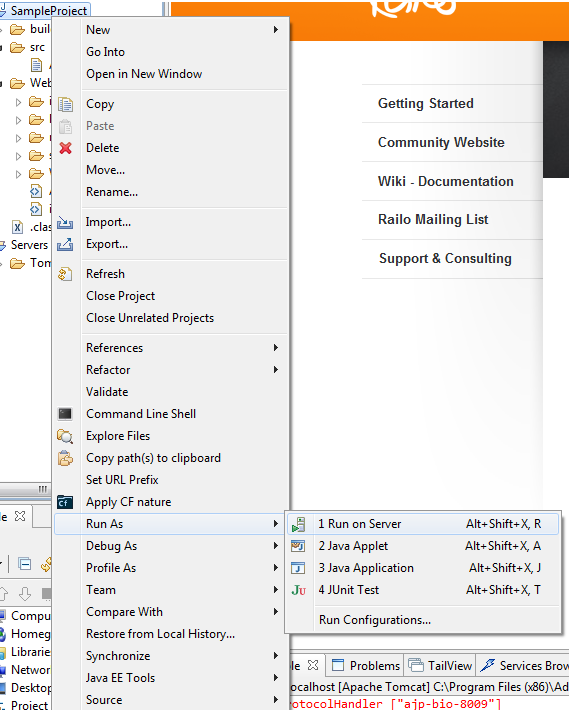 From FTP, to the Web, to SSH connection, to specialized JDNI connections, it is pretty darn simple to make ColdFusion the glue that holds disparate systems together. Last month I was tasked with coming up with a tool to allow some of my PBX users to record announcements. The current system they were used to involved them calling a phone number, entering in a special code and then recording their announcements. It was easy because the phone already had a mic, speakers and everything else setup to the point where the user didn’t have to worry about all the related computer settings. I tried to re-create a solution that was just as easy using the Flash Player (and ever a Java applet) — but it turns out that very few people have microphones hooked up to their computers — and those who do have no idea how to tune it so that the sound levels are descent. I came up with a nifty idea. I wrote a really quick CFML app to interact with Twilio (an online phone company that provides a really wicked API for dealing with live telephone calls). Essentially, they post back form requests to you, and you pass back XML documents back to them. They even have an API that can do recordings. The only problem was the recordings they saved weren’t in a format that my PBX understood. While they provided me mono, 16-bit PCM, 16k wave files, I needed 64-bit, 8k mono uLaw wave files. To a normal computer, these look the same, but to these two different systems, they were radically different. The solution? I found a really cool Java application known as JAVE. JAVE is a wrapper for ffmpeg, which is a very well known application that can work with audio and video files. JAVE allows me to convert from one type of wave file to another, or even from an mp3 to a wave, or from a Windows Media file to an MP4 file. That’s pretty much it. If you do a cfdump of the “jave.getAudioDecoders()”, “jave.getSupportedDecodingFormats()” you will get a good feeling of all the different file types you can convert between. This is more of the type of magic we need to be talking about. Sure, converting between file formats can seem dull, but being able to come up with a solution to do it quickly is what makes a language, and a platform useful. It’s been a long, hard year for anybody who is an Adobe fan. Especially so if you worked at all on any of Adobe’s “enterprise” products like Flex, ColdFusion, or LiveCycle. With the disaster that big red threw on us last November, we learned that Flex was killed (then spun on to Apache, which is actually ending up to be awesome), ColdFusion was moved to India, LiveCycle was made “government only”, and Adobe was left to pursue new markets instead of ones they had put energy into before (like HTML5 and Gaming). This post won’t be about Flex — I help with a monthly newsletter which can give you all the background on that project at the Spoon Foundation. The LiveCycle suite of products died because Adobe felt that anybody not associated with a Fortune 50 company could handle the power it offered. Anyway, back to ColdFusion. This is the product I’ve been associated with for the longest (since 1997? ), and arguably the one that has made me the most money out of any Adobe technology. Lets face the facts, ColdFusion, while not dead is in a downward spiral. Today is not the day when I see new ColdFusion projects being started, and I certainly don’t see new faces in the ColdFusion community. That’s a problem and a tall-tale sign that the platform is slipping into the “Dated” cycle of technology. That’s not a bad thing (unless you are looking for a job), it will just be different. ColdFusion is past the point where it needs a “killer app”. PHP has a few of these (WordPress, Drupal, etc). Most people simply USE these applications — very few contribute to them. They are not the reason why they have so many developers. I have lots of customers who want WordPress on their domain — not because it is PHP. Consequently, they don’t care that it is written in PHP, they just want that App. Sure, now they have PHP on their site, but it does not really matter anymore — everybody has PHP available on their site. ColdFusion already has what I think is a killer app — Mura from Blue River. It’s the nicest thing that we got, and everybody who does anything with CF should give it a try. Education is great, but it won’t save CFML. We have years and years of books, blogs, magazines, etc. at people’s disposal that want to learn CF (some of these may be out of print, but you can still find plenty). A site dedicated to learning CF in a week is cool, but it’s not the savior. What is the incentive for people to even look at CFML as a language. No jobs, no demand, nobody cool using it — everybody is just passing it up. If I were looking to pick up a new language, would I honestly pick CF? Nope. Would a website that shows somebody how to use it be beneficial to those who need to learn it for their job? Yup. A stable platform from Adobe is what is mucking up the place. Look, I’ve been an Adobe/Macromedia/Allaire CF fan for years and years. CF10 was a huge disappointment. Not only was it super buggy out the gate, but when the biggest feature (auto-updates) fails to work a few months after the release, and the fix to it is even harder to find — you know you have a problem. In all honesty I’ve spent more time debugging weird issues in CF in the past 6 months than writing new features in my apps. Weird issues like if you accidently point an ORM relationship the wrong way you have to restart the ORM engine in order for it to work again, or if you call .NET library through and the library tries to return a pointer that CF stops processing requests, cause me and others headaches. The lack of attention to detail for the last 3 releases has been alarming and has caused weird bugs that then need to be reproduced for the end of time because many of the features were done by copy/paste coders rather than engineering the code from scratch. Who the hell would want to touch a platform if all they see is work-arounds instead of new features? Ask any system admin about installing CF and the laborious process that can be. What would I do to change it if I had the community’s support? Have the community switch their primary support to Railo. They care, and they fix bugs. It’s free*, and when you want their support, they actually support their product. Gert and their engineers care and they care about the community and the community’s future. Because the barrier to entry is lower for Railo (and don’t give me the BS that you can develop real applications in CF and then buy it later on. I’ll show you each application that I’ve written that needed to get around the three IP barrier just to do simple debugging), it will make it easier for people to try. The trick is getting people to know about it and actually try it. Marketing. This is the big one. Right now, we have very few cheerleaders left. I don’t know very many Adobe employees that are really saying much about CF. The usual subjects like Forta, Ray Camden made very little noise about CF10 being released when compared to the previous versions. Heck, Adobe didn’t even do a road-show to the user groups and communities to tout the features of CF10 (they are planning one now — nearly 10 months after the release). In addition to the dismal marketing effort by Adobe, the other CFML engines have not had much luck with their marketing campaigns. It’s amazing how many active CFML developers I’ve talked to in the last year that never heard of Railo, let alone have used it. They are all scared to try it — it’s different — and it’s not Big Red. That is one thing that the remaining cheerleaders can do to help — help us get the word out of what is out there, how cool it is, and how ‘fun’ it is to use it. Make CFML easy to use. Not for us developers. 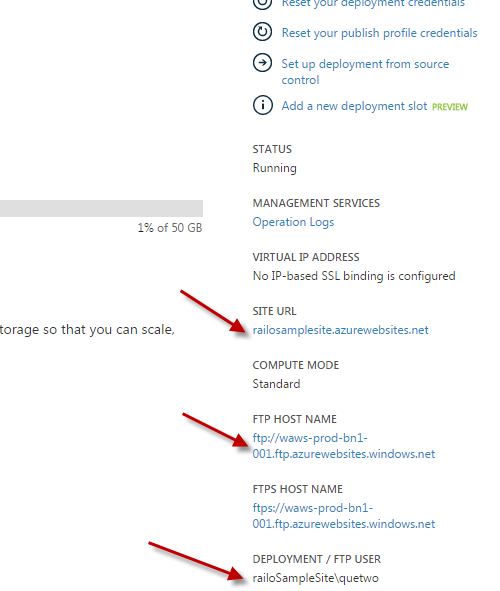 Make it easy for server admins to use. There is nothing worse than trying to install CF9 onto Windows Server 2008 (CF9 came out /after/ 2008). Between getting the server to even run, and run well, you need to go into IIS hell to get it to answer pages properly. Install CF10 on RHEL with Apache? Hope you have all weekend. The truth of the matter is installing Adobe’s CF is torturous if it is not your passion. This is why we get so much resistance from IT people who don’t do development. Sure, there are blog posts and some tech support documents scattered all over the place on how to do it, but for many people (some of them become decision makers), this is their first experience with the engine. Railo is not free and clear in this one either — while what they offer is much better, it is still much harder than it needs to be (installing the connectors can be a real pain). This could be solved by making configurators and wizards to help with the processes. But the biggest thing is to make sure they work WELL. What would be even better would be to offer a quick and easy way for developers to package up their apps, all the settings and allow us to make our own installers. Adobe strictly prohibits this (they don’t OEM CF licenses), and the licenses from Railo seem to avoid the issue all together. An extension of this idea would be to make the CFML engine packageable so that we could make our own WAR files and be able to just drop them into Tomcat or WebSphere. You can /kinda/ do it today with a deep understanding of the engine and how Java works. If you made it this far, well then you managed to make it through my mind-barf. Am I giving up on CF? I’ve pretty much given up on Adobe CF. Unless they turn that ship around, and quick, I don’t see spending thousands of dollars on the frustrations they call a product. Am I giving up on CFML? No, but I see my time being spent on many other languages and products. I’ve been getting better and better with Java, and ActionScript still has a lot of my attention. Do I see myself dropping everything and picking up the language de-jour some day? I have paying customers that expect me to get work done, so probably not. I hope not to offend anybody — and please do leave your comments below. An open discussion is one I want to see and contribute to. One of the aspects of Pointillism was that we wanted to minimize the amount of time that the user needed to worry about logins, passwords and signing up for the service. This should be a pretty common goal for most mobile applications — the more you force the user to input that type of information into your app (or verify, re-verify, etc), the less chance they will use it. We decided to base the app around the “ViewNavigatorApplication” model within Flex. For the rest of the application, it made perfect sense as this type of app could easily be built around “screens” that were stacked as the user moved from one activity to another. The problem was — if I wanted to force the user to login, I would either have to introduce some sort of “launching” screen that would contain the logic-check to see if the user had logged in prior, or I could not define the “firstView” property of the application tag and have some script in the Application tag decide. My solution consisted of this — I defined the firstView to go right to the dashboard within the application (so, where a logged in user would go). I then added a bit of code to the initialize event handler that could intercept the creation of the View and force it to go to the login screen ONLY IF the user had never logged in before. This allowed the normal operation of launching the app after the user had logged in to go very quickly, yet still force the login in a seamless way. This also meant that the user wasn’t subjected to multiple awkward transitions as the application decided if they were logged in or not. You will note that I set the default “push” transition because I wanted it to seem that the application launched right to the login screen, instead of having it flip to the screen (giving the impression that the user could hit the back button to go back to another screen). Otherwise, the rest should be pretty self-explanatory. One of the aspects of the Pointillism mobile app that was recently released was that users were expected to use the game while in remote areas. Remote areas often mean that data service is limited or just plain not available at all, and that can wreck havoc for game participants waiting for data to load. There are two schools of thought in how to approach this problem. One is to pre-load all the content that the game would or could ever use. This means that you either package all the data / images with your app, or you force the user to download this data when they launch the app. The advantage of this method is that the user can pretty much be completely offline after that point and still get the entire experience of the game. The disadvantage of this, of course is that then you front-load ALL of your content. If the user is on EDGE (or worse! ), this would mean they would be downloading a LOT more data than they may need to in addition to making your app use more space on the end devices. The other method is to setup some sort of caching strategy. This requires the user to be online at least for the initial exploration of each section of your app, but after that, the data is stored on their device. This can be problemsome if they are offline, of course, but depending on the game, this may not be an issue. In a cached mode, the user will attempt to read from disc and return that data WHILE making the call to the service in order to pull down the latest data. To the end user, this becomes transparent. Updating cached data is also routine as all if you have to do is invalidate the cache to get that bit of new data. In Pointillism, we worry about two types of data — lists of data (Collections, Arrays, Vectors, etc. ), and user-submitted images. Our goal is to cache both. Luckily, Caching the images was super easy. Dan Florio (PolyGeek) wrote a component known as the ImageGate which houses an Image component and a caching mechanism. Using his component is as simple as substituting the <s:Image> in your MXML or ActionScript with his component, and boom — your images are cached as soon as they are viewed. I did make a few tweaks to his component and posted it on my space over at Apache. I substituted the Image component with a BitmapImage for speed, and added a small patch to cache the images in the proper location on iOS devices. Caching lists of stuff was not much harder. AIR has a built-in “write to disc” functionality known as SharedObjects. SharedObjects started as an alternative to cookies in the browser, but within AIR allow us to store variables for long-term storage. In my case, I choose to store data that came back from the server as a SharedObject every time we got some data back. This turned out to be a good strategy as it allowed us to show old data immediately and update it with current data once it came in. Our data didn’t change /that/ often, so it might update at most every day or so. Pretty simple, eh? We did similar setups for all of our data lists, and also implemented some caching for outgoing data (like when the user successfully checked into a location), so we could keep the server in sync with the client.